Product information "Cartoni TOTAL DUTCH Fluid Head with Case"
Allows unprecedented 360 ° rotation for extraordinary creative shots. The rotation is driven by a steering wheel pierced in the center for cable channel. Two 1 kg counterweights complete the set for true nodal rotation around the optical center. The Total Dutch head is available as a product ready to be installed on top of any head via two 3/8 “ screws, or can be composed with Lambda 25 Dutch axis plus the camera stage of the Lambda 25 head. 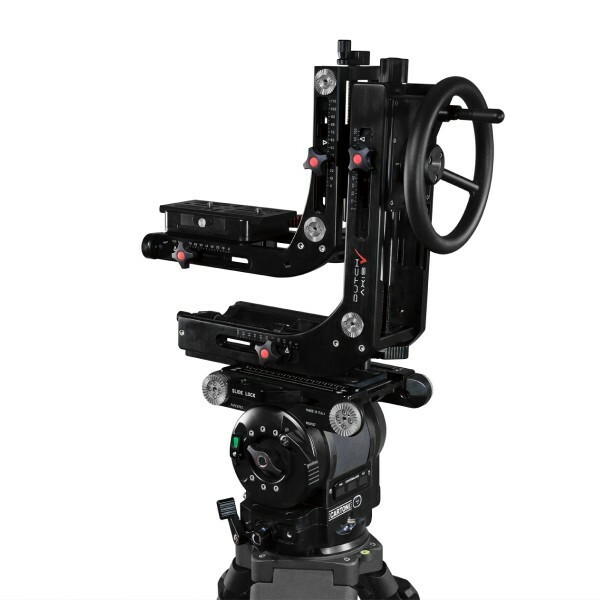 After setting the standard with its famed DUTCH Head in 2000, CARTONI has expanded the canted angle capability, creating the ultimate in DUTCH angle compositions. Related links to "Cartoni TOTAL DUTCH Fluid Head with Case"
Our comment on "Cartoni TOTAL DUTCH Fluid Head with Case"
Customer evaluation for "Cartoni TOTAL DUTCH Fluid Head with Case"